How is your weekend coming along? Just came back from a hectic and tiring grocery shopping routine from Reliance Fresh. good those people sure know how to be slow. Sometimes, it just gets way over my patience level (which is something as I am a mommy now and have more patience than in my pre-mommy days). Today would be the review of a recent purchase and a pretty good one at that. I got this during my singapore trip and it was available on discount at the duty free shop. At SGD 10, I thought it was a very good bargain and picked it up ASAP without much deliberation. 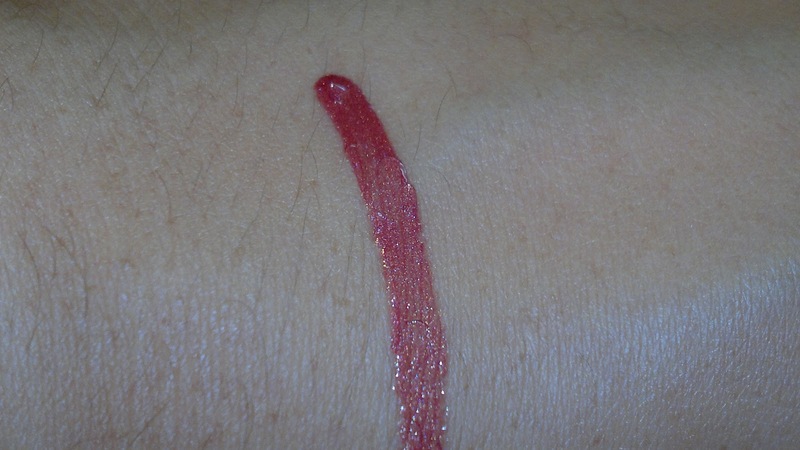 A berry coloured lip gloss with shimmer, it looks up lighter on the lips as compared to the hand swatch. It has become my go to color these days when I am going out for shopping or any random work. For office wear also, it looks pretty decent but I prefer non-shimmery colors in office. 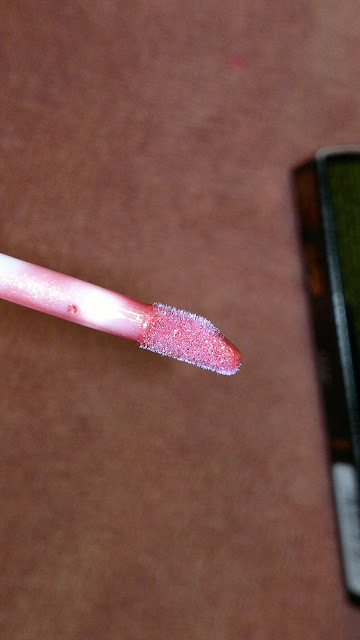 Texture wise it is smooth and light on lips, keeps them moisturised for as long as it is there and even after it is gone, there is no dryness. The staying power is ok, 2-3 hours without meals and lesser with meals. The shimmer gives a nice plumping effect to my lips, I feel. The shimmers are very fine and not at all gritty, in fact you don't feel them at all. 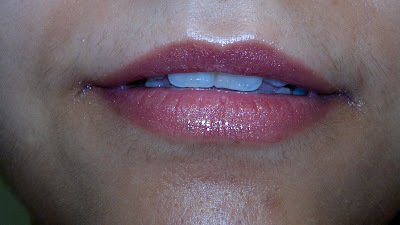 The shimmers do not travel all over the face when the lip gloss starts to wear off and vanish with the gloss, I say. 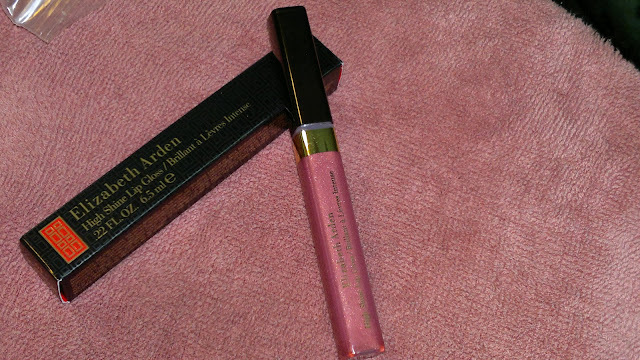 Product rating: A, would recommend this to all girls as it is a very good quality lip gloss with very decent applicator. I am not aware of the actual price, but I got this on discount at a really amazing price. 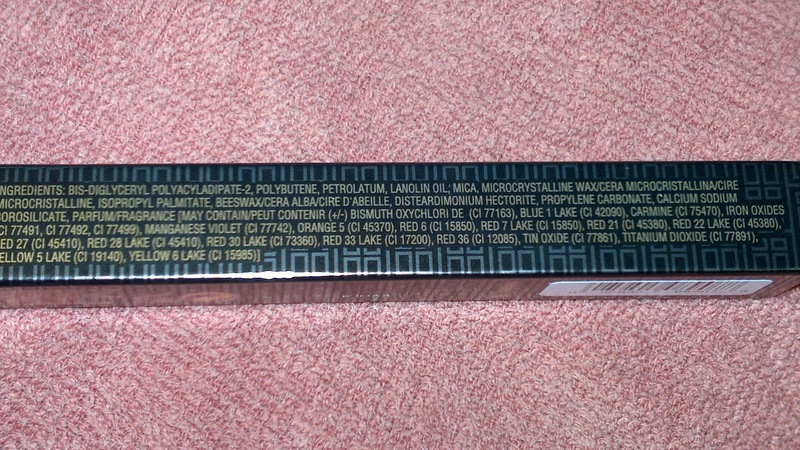 Personally would love to try more shades from this range.